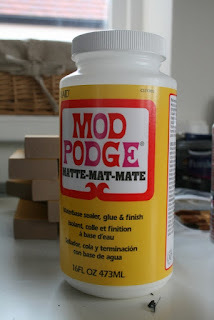 How Felicity finds...: Mod Podge! 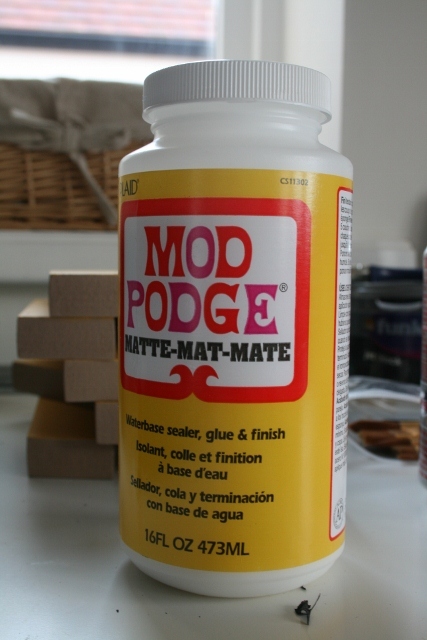 So I know I'm way behind everyone else, but I have finally discovered Mod Podge! And in the words of Craig Revel Horwood it's A-ma-zing!!!!!!! Here is the canvas as I was applying the Mod Podge. 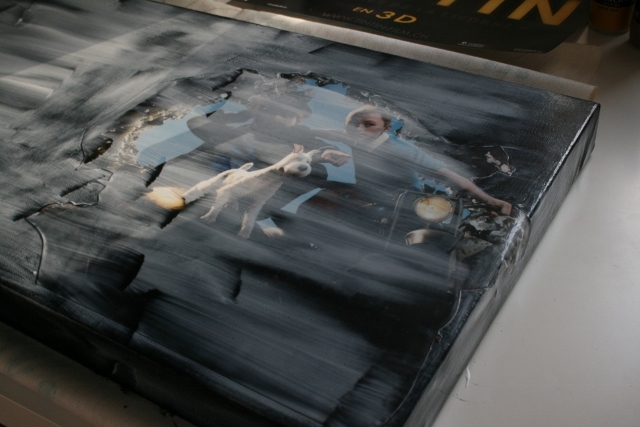 I'd already used to stick down the poster image and then used it to seal everything. I must admit the first time I put a coat on I panicked a little till I saw it drying! 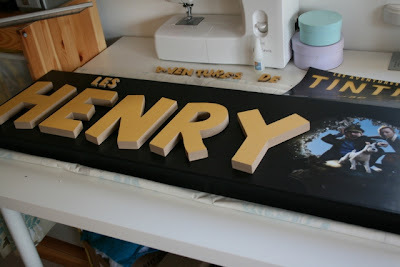 Once it had dried I then stuck all the letters down. I do by eye rather than measuring exactly as I prefer that way, and once I'd stuck down all the letters then I gave them all a coat of the Mod Podge aswell to give them a nice matte gloss finish, almost like the poster itself. 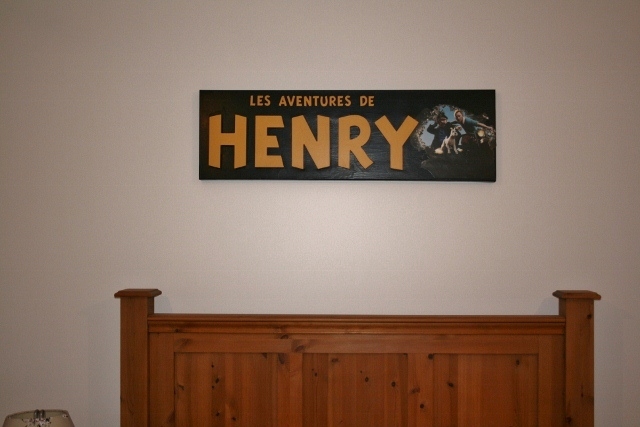 Using the wooden letters in the TinTin font gives it that real 3D effect which I love. Next Projects: Memory Boxes and a Union Jack Canvas for middle boy Freddie! P.S A huge thanks to Granny Bling who had the boys this afternoon, meaning I didn't need to lose my Saturday night in order to finish this!